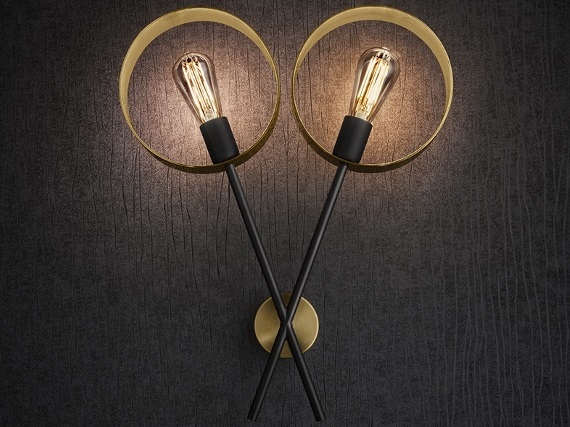 Decorative LED filament lamps reflect a warm glow off the interiors of Brushed Brass rings. 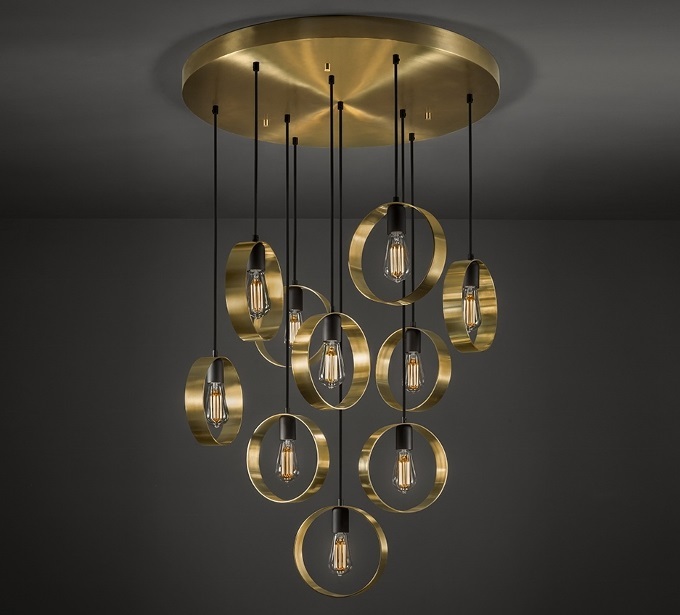 The rings on the four and eight light chandeliers can rotate at the end of the arms to give a random and unique lighting appearance. The 10 light has rings suspended on black silk- covered cable to look similarly random and create a striking impact.